Saudi Arabia’s war on Yemen has created a humanitarian crisis within the poorest country in the Middle East. However, Trump is seeking an even closer relationship with the Saudi Monarchy. The Saudi Monarchy is an important part of Washington’s goal of dominating the Middle East for its natural resources, one that benefits its corporations that range from arms manufacturers to big oil companies. One other important factor to consider is Israel’s security which plays an important part of U.S. foreign policy in the region. Saudi Arabia is a vassal state, one that has a long history of supporting terrorists such as the Islamic state, al-Qaeda and others who have wretched havoc across the Arab world killing innocent men, women and children. Saudi Arabia is also one of the worst human rights violators in the world especially against women. A historical turning point according to Mohammed’s advisor is to “form a big change in relations between both countries in political, military, security and economic issues,” What is troublesome about the meeting is that Saudi Arabia and other Gulf States see Trump as a strong leader who will contain Iran’s influence in the region. Both the Trump administration and the Saudi Monarchy find common ground on Iran’s Nuclear Deal which they both view as dangerous. Both also share the same concerns on “the danger of Iran’s regional expansionist activities.” Although the Obama administration sold arms to Saudi Arabia in the past, Obama suspended the sale of arms including U.S.-made precision-guidance munitions to the Saudi Monarchy last December due to “concerns over widespread civilian casualties” according to a Reuter’s article published in 2016. The Trump administration is considering an arms deal to the Saudis that the State Department has already approved, but the White House has not yet confirmed the deal. Targeting Yemen to Fight “Iranian Influence”? 12. (S/NF) contrary to ROYG claims that Iran is arming the Houthis, most local political analysts report that the Houthis obtain their weapons from the Yemeni black market and even from the ROYG military itself. According to a British diplomat, there are numerous credible reports that ROYG military commanders were selling weapons to the Houthis in the run-up to the Sixth War. An ICG report on the Sa’ada conflict from May 2009 quoted NSB director Ali Mohammed al-Ansi saying, “Iranians are not arming the Houthis. The weapons they use are Yemeni. Most actually come from fighters who fought against the socialists during the 1994 war and then sold them.” Mohammed Azzan, presidential advisor for Sa’ada affairs, told PolOff on August 16 that the Houthis easily obtain weapons inside Yemen, either from battlefield captures or by buying them from corrupt military commanders and soldiers. Azzan said that the military “covers up its failure” by saying the weapons come from Iran. According to Jamal Abdullah al-Shami of the Democracy School, there is little external oversight of the military’s large and increasing budget, so it is easy for members of the military to illegally sell weapons. Iran’s threat to Washington is that it has an enormous amount of oil and other natural resources. Iran is a sovereign nation that is aligned with the Axis of Resistance within the Middle East namely Syria, Lebanon, Hezbollah and the Palestinians. Iran is also aligned with Washington’s long-time adversaries, Russia and China. The PNAC report specifically states Washington’s long-term goal and that is to dominate the Middle East by isolating Iran with U.S. military bases close to their borders ready to attack on a moment’s notice. 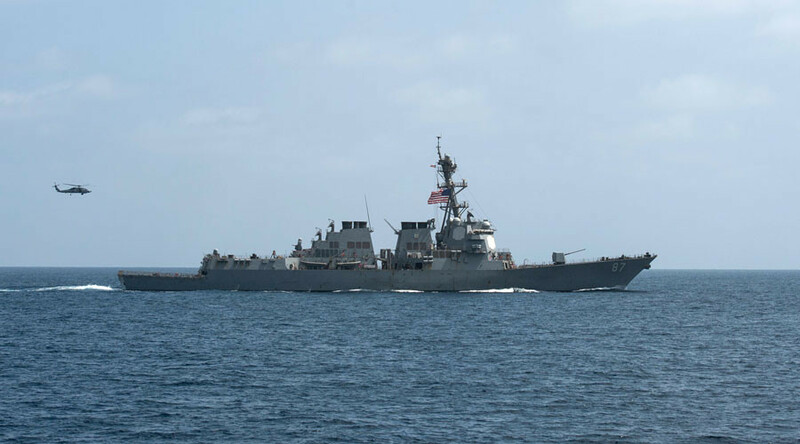 More broadly, the expanded bombing in Yemen signals a more aggressive use of military force by the Trump administration against Islamist militants, from Syria to Afghanistan. The White House already has approved the deployment of Marines and special operations forces to Syria and a large-scale commando raid in Yemen, and on Thursday a top commander suggested more troops are headed to Afghanistan. President Trump’s readiness to order military action stands in contrast to the previous administration. When Obama’s national security advisor Susan Rice ran the policy making process, “stuff moved like molasses through the National Security Council,” much to the frustration of military planners at U.S. Central Command, a former senior defense official, who spoke on condition of anonymity, told FP. The inter-agency discussions allowed plans to languish for weeks while debates swirled over when and how to act. Throughout 2016, the Pentagon continually briefed the White House on ways to get more aggressive with al Qaida in the Arabian Peninsula, or AQAP, as they watched the group gain strength in their Yemeni strongholds. Those strikes didn’t happen, “but just because the clock ran out,” the official said. The Yemeni Civil War that began in 2015 between the Houthi forces who are loyal supporters of Ali Abdullah Saleh and government forces allied with the Washington-backed Abd Rabbuh Mansur Hadi who was based in the Aden and is aligned with Al-Qaeda in the Arabian Peninsula (AQAP) and the Islamic State terrorists. On February 21st, 2012, Abd Rabbuh Mansur Hadi who was the Vice-President under Saleh held a presidential election. The problem was that Hadi was the only candidate in the elections who became Yemen’s president for two years. Washington and Saudi Arabia saw Hadi as the legitimate leader of Yemen despite the fact that he was the only candidate. As for the Houthi forces (who are Shia-led movement from Sa’dah, northern Yemen) began an insurgency against the Hadi government. By January of 2015 Hadi fled to Saudi Arabia and asked the Saudi Monarchy to help counter the Houthi insurgency. On March 26th 2015, the Saudi Kingdom launched operation ‘al-Hazm Storm’ with mainly U.S. puppet states of Bahrain, Egypt, Kuwait, Morocco, Pakistan, Qatar, Sudan and the UAE and collaborating with Somalia that allowed the coalition to use its military bases to invade Yemen. The cause of the Houthi led insurgency was the fact that the Hadi government did not follow-up on their power-sharing proposals that turned Yemen into a dictatorship backed by Washington. Since the war began, the United Nations says that 17 million people in Yemen are facing food shortages and close to 7 million people will become victims of a famine crisis. Washington has a long history with Saudi Arabia. 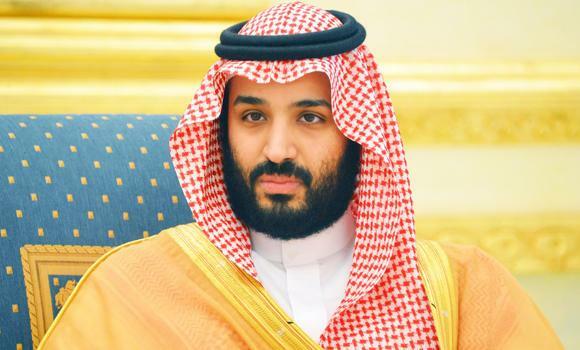 Saudi Arabia was founded in 1901 by King Abdulaziz Al Saud, Bin Saud had a close relationship with the United Kingdom who was the first nation in the world to recognize Saudi Arabia as an independent nation. The British defended Saudi Arabia from the Turkish Empire who sought to expand its territories. Bin Saud also developed a close relationship with the United States. 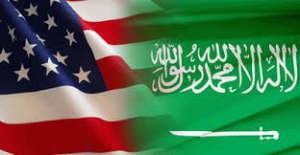 By May 1931, Washington recognized Saudi Arabia by granting it “diplomatic recognition.” During that time, Standard Oil based in California was granted concessions for oil exploration in the Eastern Province area called al-Hasa. By November 1931, a treaty was signed by both the US and Saudi Arabia that included a “favored nation status” within the treaty. By 1933, the California Arabian Oil Company (CASOC) which later became the Arab American Company (ARAMCO) began oil exploration throughout the Saudi kingdom until they got to Dhahran which produced a small amount of oil at the time (42.5 million barrels) between 1941 and 1945. Today, Saudi Arabia is one of the top oil exporters in the world with the U.S. being a major beneficiary.